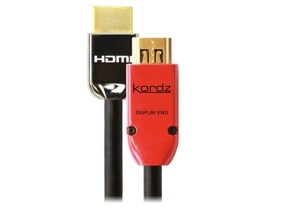 • PRS cables over 7.5m / 24’7” utilize RedMere IC technology. These cables are directional and must be connected with the RedMere-equipped end at the sink device. 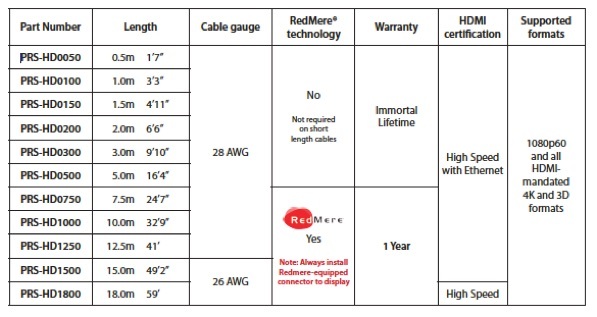 Warranty: PRS cables without RedMere have an Immortal Lifetime Warranty. 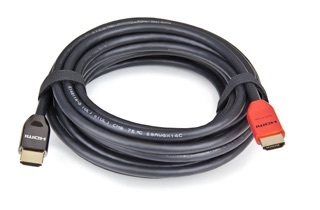 PRS cables with RedMere (7.5m / 24’7” and over) have a one year warranty. © 2013 Lycus Solutions Limited. All rights reserved.